WE HAVE FRESH STOCK OF DAMD WHEELS!!!! Email me or call me direct to place your order or to ask questions. Last edited by fawor; 14 November 2017 at 08:50 AM. Last edited by fawor; 13 November 2017 at 08:22 PM. Is you putting red trimming yourselfing ? Or did coming like that you **** buying if fitted like same this one red? I see you've changed your picture hosting service Fawor? Great steering wheels these aren't they? Improve how the car feels to drive so much. Massive improvement. I can safely say I'll be fitting one to every Subaru I own. Last edited by fawor; 15 November 2017 at 04:20 PM. Any chance of getting some round wheels in stock in future? I have a 2003 Blobeye that has the silver/grey airbag. I take it I'll need the black face airbag from 04/05 onwards to fit the wheel? Assuming I get myself the newer airbag to go with the DAMD wheel, is it still gonna be a direct fit, i.e. are the airbag connectors identical between the different model years or is there gonna be some fiddling involved to get it all fit ? Last edited by SumoPower; 20 November 2017 at 11:51 AM. Only 2005 airbags will fit with Damd steering wheel. I know that. The question remains that if I get myself a 2005 airbag to go along with the DAMD wheel, will the combo still fit a 2003 blobeye (i.e. bolt pattern of the wheel and airbag connector). 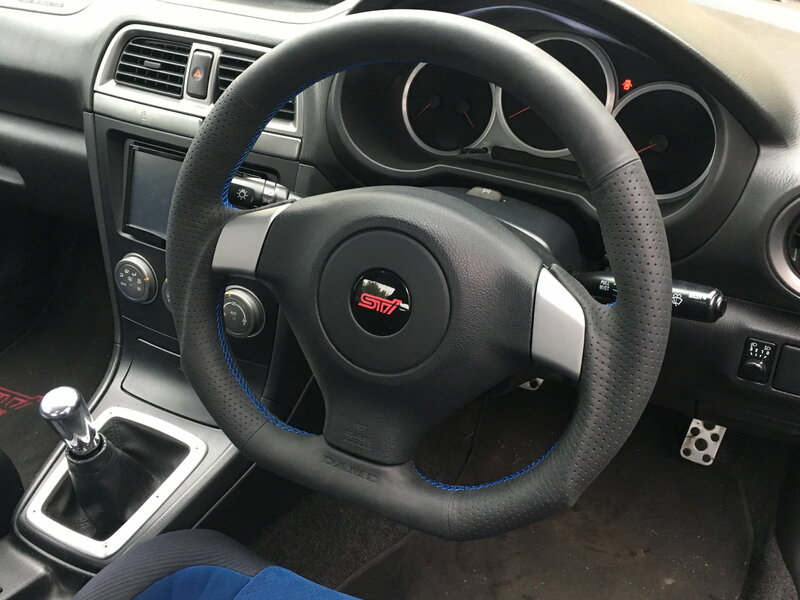 This is contradicting some of your earlier posts where its stated that the GDB DAMD wheel fits 2001-2007 GDB models. 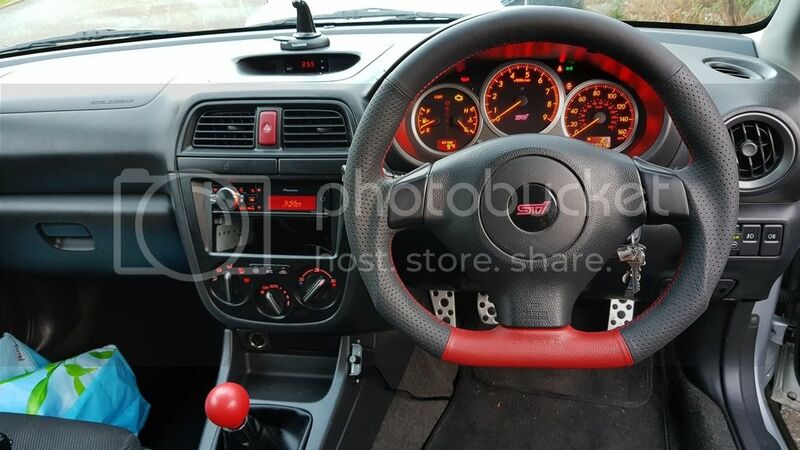 I think a simpler question is then: does a 2005 black STI steering wheel fit into a 2003 blob that originally has the grey STI steering wheel? The answer to that will pretty much solve my issue. Last edited by Dan1; 20 November 2017 at 04:46 PM. We amended our post as it was inaccurate and i cannot tell you if it would fit. That will be something for someone on the forum to help you with. splines are identical on all the newage models as said above, it will bolt on no problem to any newage car and a later airbag will fit an earlier car. As usual, You're a d1ck. I had the same wheel fitted to my WRX as I do now to my STI. 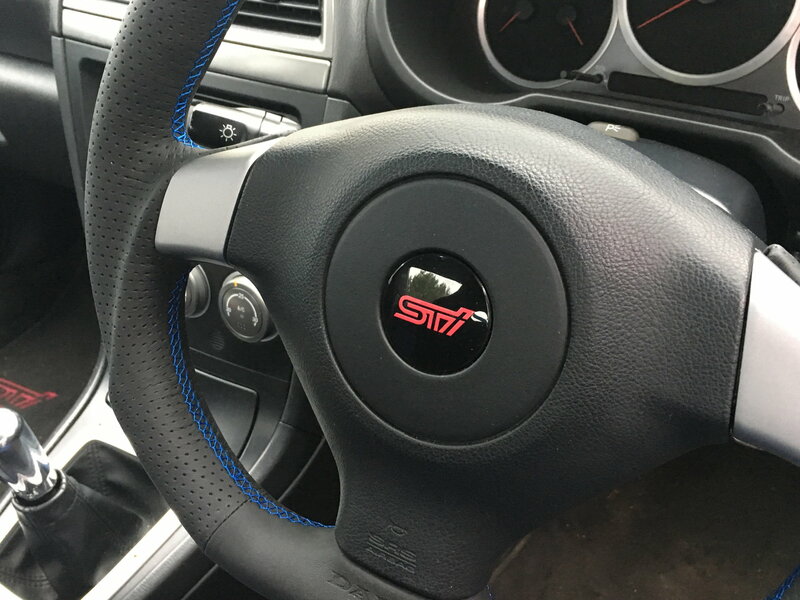 So 2005 STI airbag + DAMD wheel = straight bolt-on for 2003 STI without having to change clock spring or anything. The answer I was looking for, thanks. They are available, I got mine direct from Japan. But I'm sure Sumo could get you one if requested. Would a hawk sti be gbd fitment ? Last edited by Jon T; 10 December 2017 at 02:26 PM. Yes, tax was payable to the courier once they had received it. Simple process to pay through their website, iirc around £80. When Sumo offer them with discount it actually works out to be cheaper off them than buying direct. I'm sure someone from Sumo will get notification to this thread, so they may see it and be able to give you an answer.